MilitaryOneClick attended a Department of Defense blogger roundtable on Tuesday, February 26, 2013 discussing ‘Military Saves Week’ with guest speaker Sgt. Major Battaglia, Senior Enlisted Advisor to the Chairman. Washington, DC – MilitaryOneClick attended a Department of Defense blogger roundtable on Tuesday, February 26, 2013 discussing ‘Military Saves Week’ with guest speakers Sgt. Major Battaglia, Senior Enlisted Advisor to the Chairman, Mrs. Battaglia and Ms. Thompson, Director of the Office of Family Policy/Children & Youth at the Office of the Deputy Secretary of Defense. 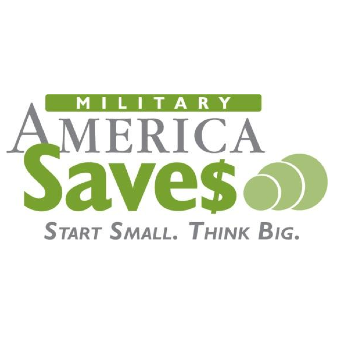 Military Saves is a national campaign to persuade, motivate, and encourage military families to save money every month, and to convince leaders and organizations to be aggressive in promoting automatic savings. Military Saves Week started February 25th and runs through March 2nd, which is the same week military families around the world are fearing sequestration and devastating budget cuts will take place within the Department of Defense. Military Saves is part of the Department of Defense’s Financial Readiness Campaign for the past 7 years with resources available both virtually through Military OneSource and in person on installations across the world. Military OneSource is a DoD website providing 24/7 availability for service members and their families, to include 12 free sessions of financial counseling over the phone in the privacy of the service members home. Regarding tools available for financial readiness on installations, Ms. Thompson commented, “we have family service centers on all of our installations with certified financial managers providing education, budgeting and counseling for our service members and their families.” The DoD also utilizes their partnership with the defense credit unions and banks on bases to ensure the financial well-being of our service members and their families. Pilcher also discussed with Sgt. Major the larger concerns about how financial problems can negatively impact military families. According to Sgt. Major Battaglia, who has been instrumental in the Total Force Fitness program, “financial instability brings tension within a relationship or a marriage, that may have some factors that play into marital tension that can lead to separation, which may lead to divorce or to other things that do not have good results.” During the roundtable Sgt. Major acknowledged, “financial fitness plays a big role in more ways than just being healthy in the wallet.” Military Saves is a part of America Saves, the larger nation-wide campaign for all Americans. Military Saves 2013 theme is “Set a Goal. Make a Plan. Save automatically.” and encourages all service members, their families, and civilian employees to “Take the Military Saves Pledge” at http://www.militarysaves.org. How Am I Supposed To Feel About Sequestration?